State and local ballot measures are driving voters to the polls this fall. We are watching some key planning-related measures that could have an impact on your community. The Washington, D.C., area has one of the highest median incomes in the country, but the city is making room for affordable housing through a mandatory, district-wide inclusionary zoning program. Increasing housing choice and affordability, and promoting growth in an inclusive and equitable manner has been on the top of planners’ minds across the country and at APA. Here’s the latest in housing and inclusive growth resources. Massachusetts, Wisconsin, Tennessee, and Louisiana are among the states making housing news. From inclusionary zoning to affordable housing, these states demonstrate the geographic reach and varying approaches to the housing crisis. The House Appropriations Committee recently approved a spending bill for transportation and housing programs that maintains some of the dramatic increases to programs made by the FY 2018 omnibus. Housing affordability challenges across the nation are some of the most pressing and controversial. Learn more about California housing legislation and the role of planners. Planners have the ability to create housing options that enable citizens to be independent and to thrive at all ages. One of a series of blog posts on APA's Plan4Health webinar and seminar on “Planning Livable Communities for All Ages." By the end of January, almost 40 state legislatures across the nation will be in session. Get in the know about key issues and players likely to affect planning during the 2018 legislative season. In a controversial move, HUD issued a notice effectively suspending new fair housing planning rules until 2020. APA plans to submit comments on the action. The Senate Finance Committee released a detailed summary of its own tax reform legislation just hours after the long-awaited tax bill hit the floor in the House. The long-awaited tax reform legislation, the Tax Cuts and Jobs Act (HR 1), contains provisions that will have potentially significant impacts on housing and economic development activities. Congress is home. Tell your representatives to fund THUD before the looming budget deadline and the start of FY 2018 on October 1, 2017. APA is calling on planners to tell your members of Congress to pass a THUD spending bill and avoid a full-year CR at FY 2016 levels. Join the national call-in day on Wednesday, April 26, 2017. Community Development Programs have impacted communities all across the country, here are just a few of the many accomplishments made possible by CDBG and HOME. After 12 weeks in office, President Trump’s equity agenda remains elusive. Promoting social equity and expanded access to economic and social opportunities is one of APA's three legislative priorities. Help APA support the highest possible funding level for the FY 2018 Transportation, Housing and Urban Development (THUD) spending bill by signing on to a letter to Appropriators by March 3, 2017. Issues of housing, social equity, and access to data are critical APA legislative and policy priorities, and APA will vigorously oppose legislation that threatens them. APA's policy experts review the final actions of the 114th Congress. A new housing development toolkit released this week by the White House showcases innovative work some communities have done to spur the production of affordable housing. Julián Castro and Janette Sadik-Khan explored the theme of ingenuity in communities at APA's 2016 Policy and Advocacy Conference. HUD's new Prosperity Playbook was previewed in a Daniel Burnham Forum on Big Ideas event at APA’s Policy and Advocacy Conference. Study: Why Do Communities Adopt Inclusionary Zoning? A new study examines why Inclusionary Zoning is a driver of economic diversity and expanding opportunities in cities across the U.S.
Building more market-rate housing in desirable areas, like Chicago's Lincoln Park, could increase access to affordable housing on a regional scale. House Speaker Paul Ryan proposes reforms to federal programs and changes to the states' role in the war on poverty. Significant progress was made in both the House and Senate in finalizing funding for housing, community development, and transportation programs in the FY2017 fiscal year. States and local governments are working to find innovative ways to remove barriers to affordable housing construction and to be more involved in planning for higher density. Work on the budget and appropriations ran into an obstacle last week in the Senate, throwing into question whether a vote on a robust Transportation, Housing, and Urban Development spending bill will happen. Planner Susan Wood explains the importance of HUD's Prosperity Playbook for housing and transportation. 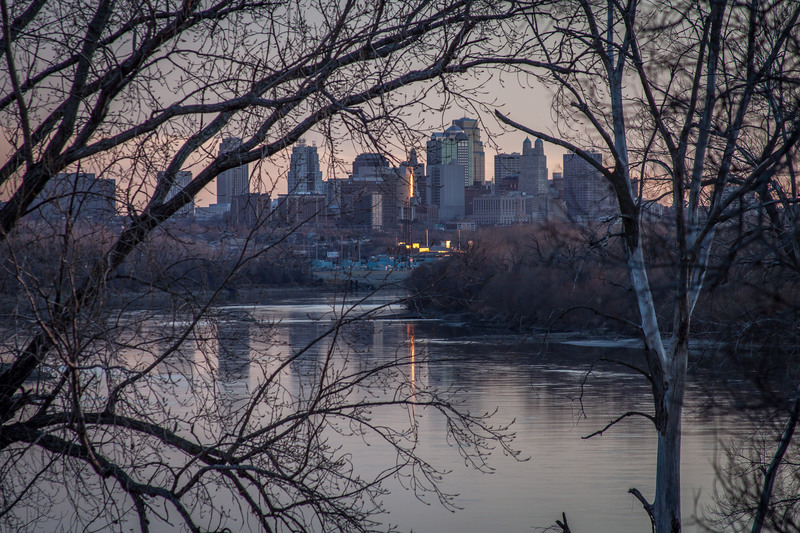 Two new policy briefs examine the connections between health impact assessment and housing. Minneapolis Mayor Betsy Hodges and Adam Duinick, chair of the Twin Cities Metropolitan Council, hosted a regional mayoral roundtable convened by HUD Secretary Julian Castro. 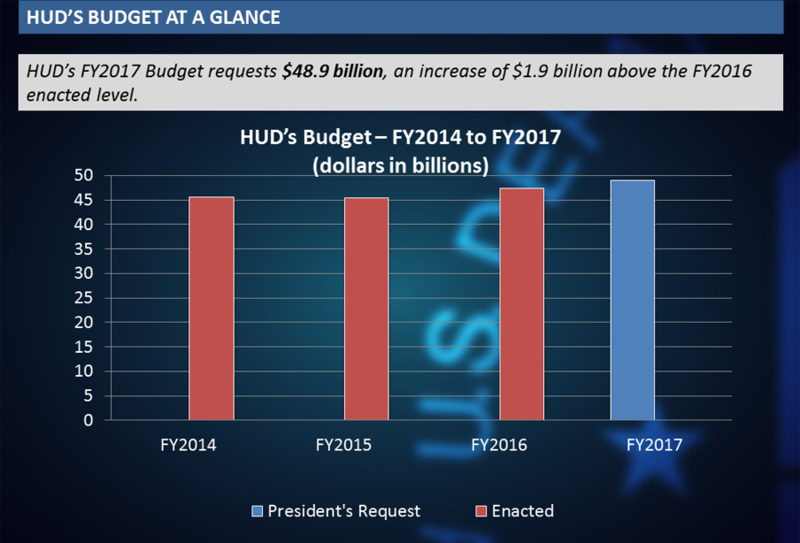 The President’s FY 2017 budget request includes $48.9 billion for HUD, a $1.9 billion or percent increase from current funding levels. Partnering with local governments, planners, and residents to build neighborhoods of opportunity, promise and equity should be a fundamental goal of federal policy. One planner’s perspective on the importance of taking part in HUD’s Prosperity Playbook.